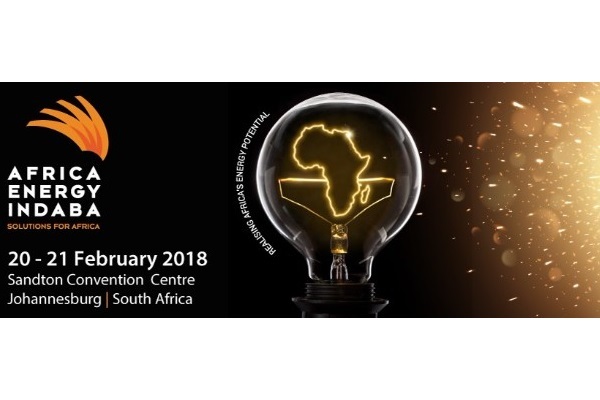 Join us at the Africa Energy Indaba expo at the Sandton Convention Centre from 20 – 21 February 2018 for free! 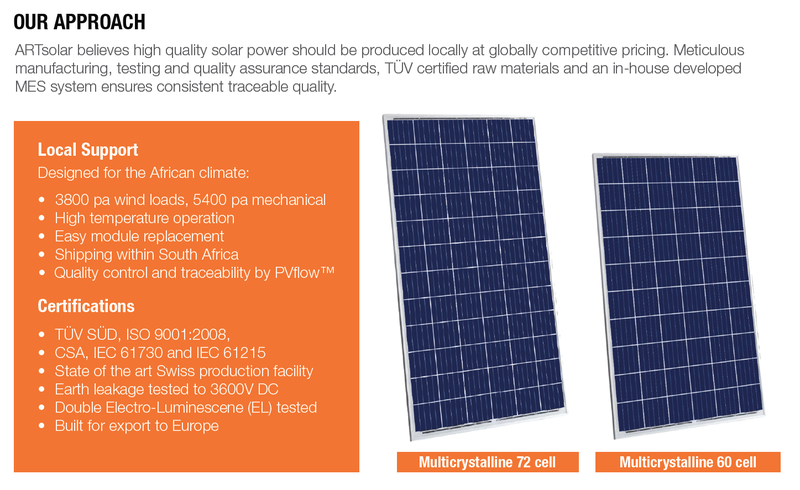 We are proud to announce that we now have 320Wp, locally guaranteed, PV modules in stock. 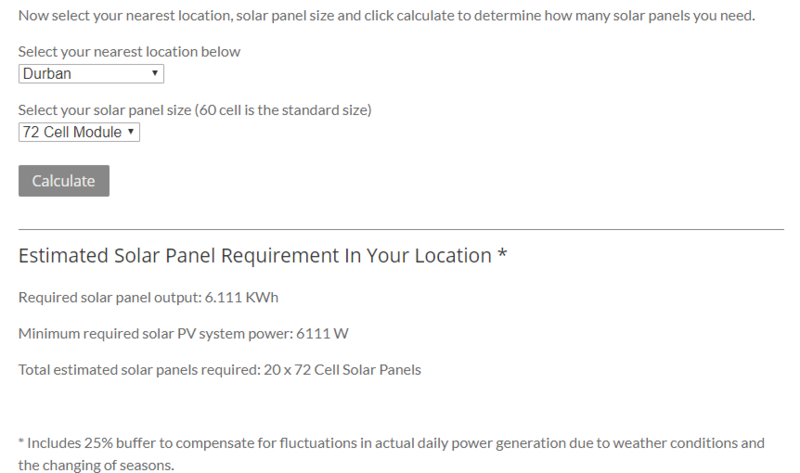 We are proud to present our new solar panel estimator, a tool to help you discover how many solar panels you may need to get yourself off the grid. 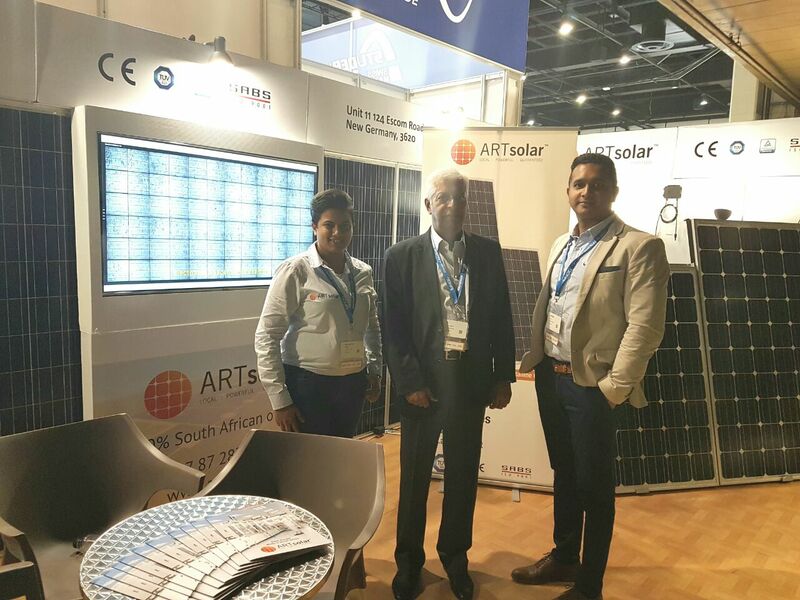 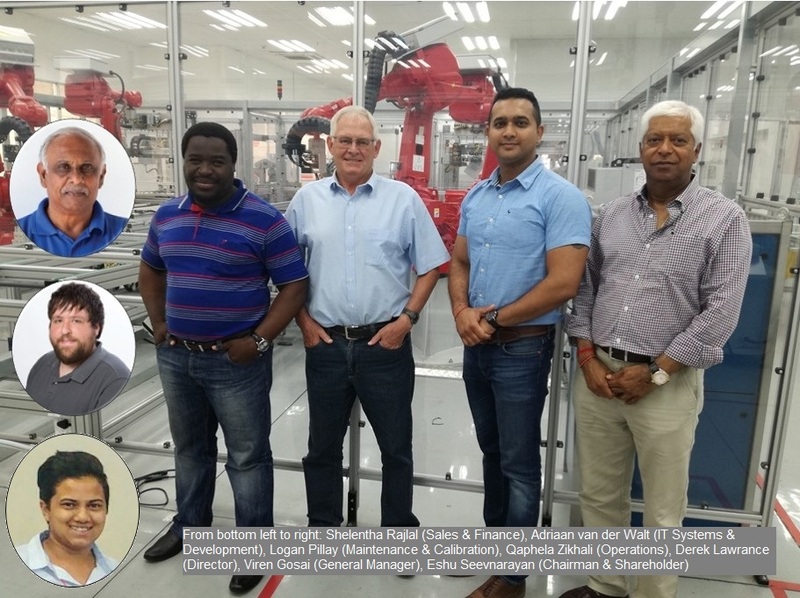 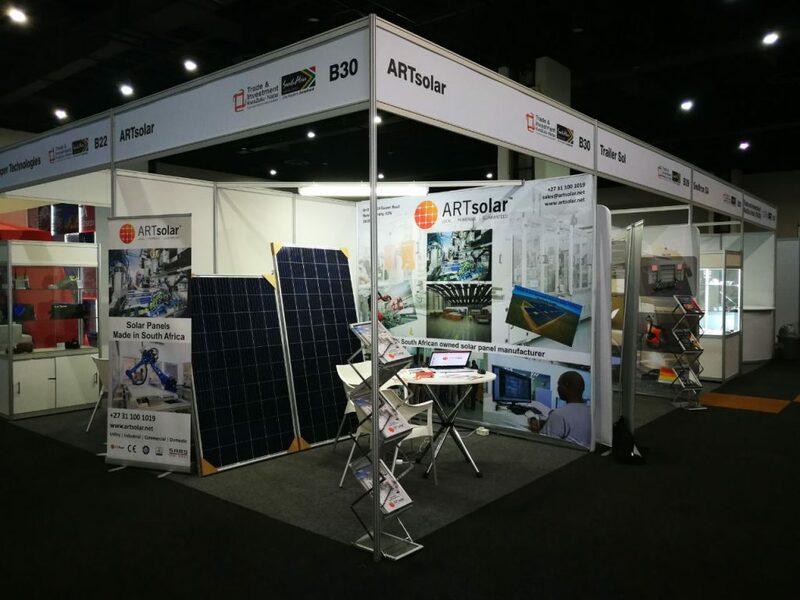 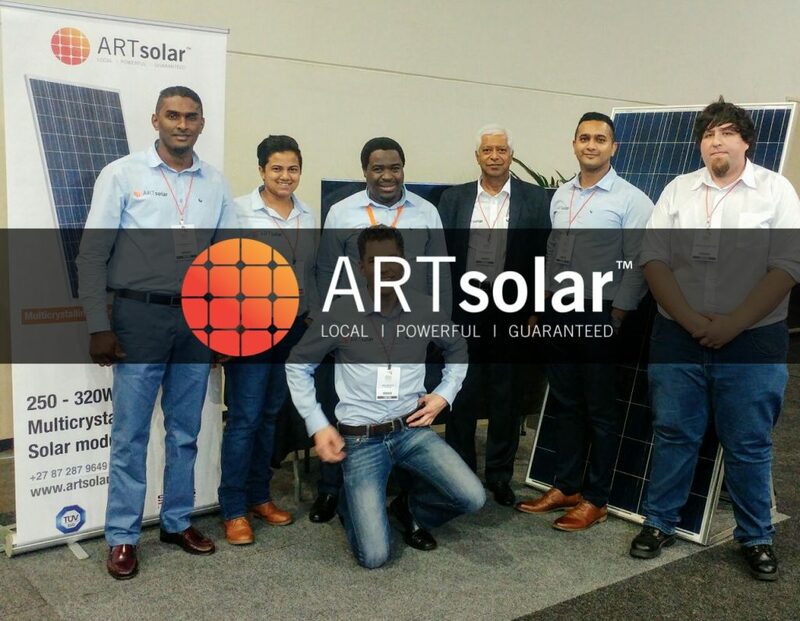 ARTsolar recently presented at The Solar Show 2017 exhibition in Sandton.